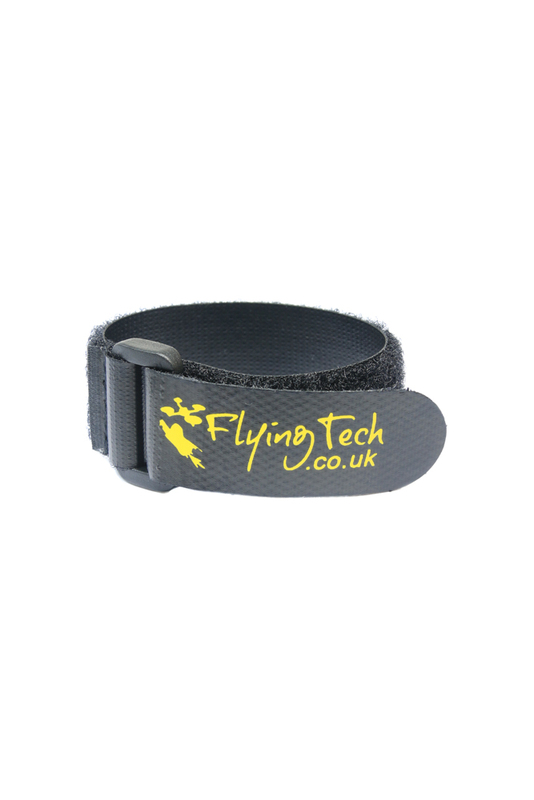 The Flying Tech battery straps are made to ensure a strong and secure holding of your LiPo battery. They have a non-slip coating on the inside surface that securely locks your battery in place and prevents them from shifting. The straps feature a tough plastic buckle and a strong Hook and Loop closure for maximum holding power and security. We have the straps available in various lengths to suit different applications.